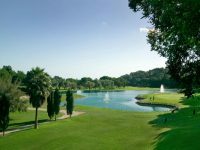 The Costa Del Sol region in Spain, stretching from Malaga down towards Sotogrande, is bursting with golfing possibilities. With over 60 golf courses in the area and guaranteed sun for over 300 days a year, it’s one of the best golf destinations in Europe. 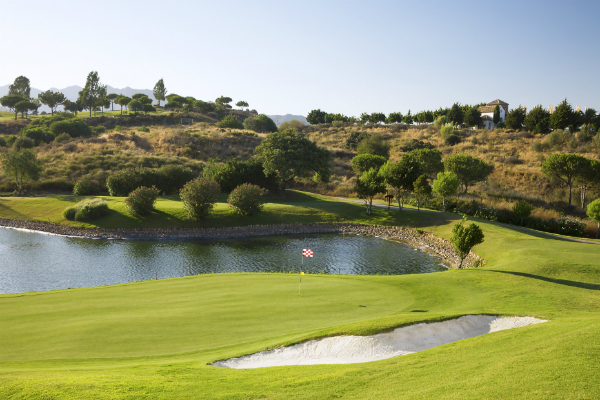 In fact, Costa Del Sol is part Andalucia, which won the 2019 IAGTO Award for Best Golf Destination in Europe, so you will be sure to find quality golf in this area. Located in Sotogrande, on the edges of the Costa del Sol region, the Real Club de Golf Sotogrande is rated as the 2nd Best Course in Spain and boasts 18 holes of Championship golf, metres from the Mediterranean Sea. 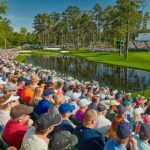 It has hosted multiple European Tour and Amateur events with winners including Jose Maria Olazabal & Seve Ballesteros as well as seeing Justin Rose and Ian Poulter gain their tour cards. The course itself was Robert Trent Jones’ first design in Europe and still remains one of his best. He utilised the natural pine & eucalyptus trees, while strategically positioning bunkers and water hazards around the greens to create a stern test for even the most experienced golfer. The NH Sotogrande Hotel is just four kilometres from Real Club de Golf Sotogrande and has everything you could need for a golf holiday in Spain, including on-site leisure facilities and a hotel restaurant serving the finest local cuisine. It’s worth noting, NH Sotogrande Hotel is conveniently located just 4km from the famous Valderrama Golf Club and 2km from La Reserva Golf Club; the perfect location to explore the finest courses in Sotogrande. Designed by Robert Trent Jones Sr, Valderrama Golf Club is known as one of the best courses in Europe and is ranked as the 3rd best course in Spain. 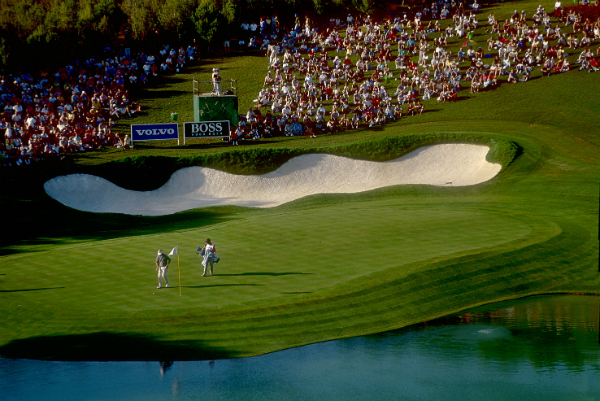 Having hosted the 1997 Ryder Cup, as well as the former Volvo Masters on the European Tour, golfers relish the prospect to follow in the footsteps of world-class golfers like Tiger Woods. The course itself is known to be notoriously difficult, with an abundance of trees lining the fairway, but at less than 7000 yards from the Championship Tees, it’s certainly playable for all levels of golfers. Although only the experienced golfers will be attempting to hit the famous 500 yard 17th in two. As mentioned before, the NH Sotogrande Hotel would be a good option due to its location, but Hotel Almenara is even closer at just three kilometres away. 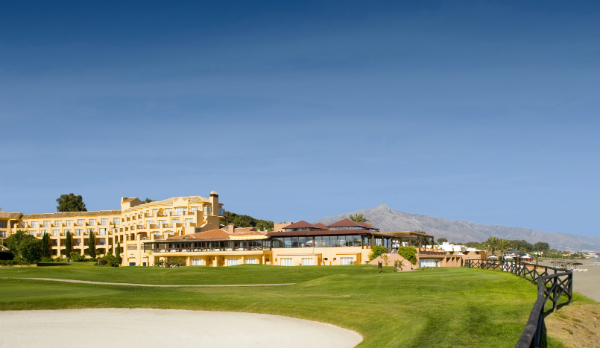 The hotel offers shuttles to the Sotogrande golf courses, as well as having its own on-site, Almenara Golf Club. The hotel itself offers ideal luxury with spacious rooms, suites, a state of the art fitness centre and the Elysium Spa & Wellness Center. 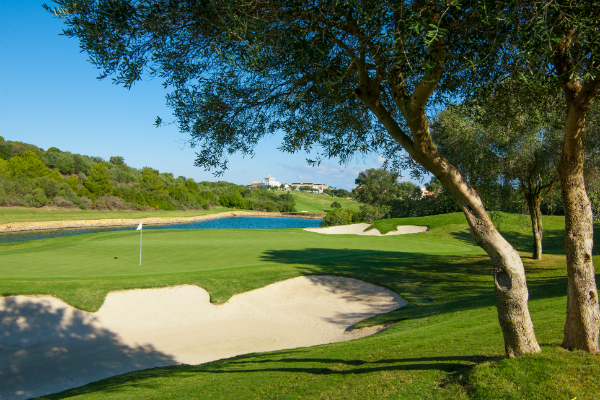 Finca Cortesin is ranked the fifth best course in Spain and it’s easy to see why; three time host of the Volvo World Matchplay Tournament and with greens compared to Augusta National by Sergio Garcia. 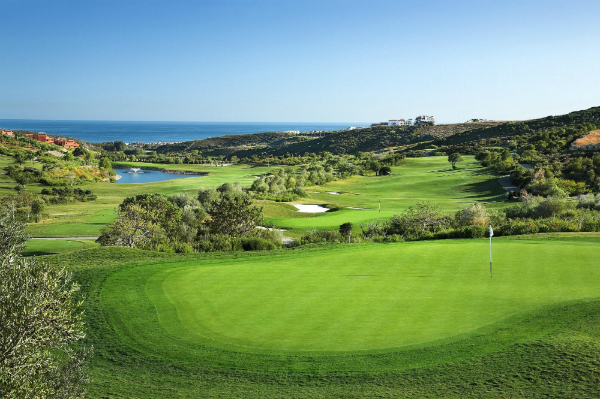 Like other courses in the region, Finca Cortesin features an undulating landscape with Mediterranean Sea views but the key difference is the pace, condition and unique shape of the greens. With the course in your back garden, there is no need to venture elsewhere for five star accommodation, as the Finca Cortesin Resort has it all. The resort offers 67 luxurious rooms, two restaurants serving traditional spanish cuisine and Japanese, as well as a spa; what else do you need? La Cala Resort is the only venue in Costa del Sol which offers three championship courses, two of which are highly rated in Spain. 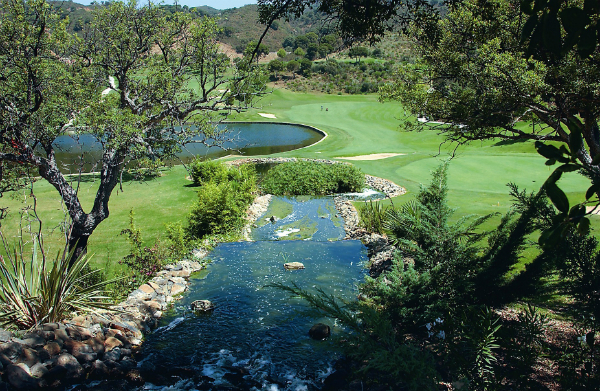 The Campo America is known as the best of the three courses at La Cala for its picturesque landscape and unique layout. The course features generally wide fairways but there is still plenty of opportunity for the undulating landscape to take your ball into one of the many bushes that surround the fairways should you be too wide off the tee. The Campo Asia is perhaps the most undulating course at La Cala with particular pressure on the approach shots as they are narrow targets to hit, especially from an angled lie. 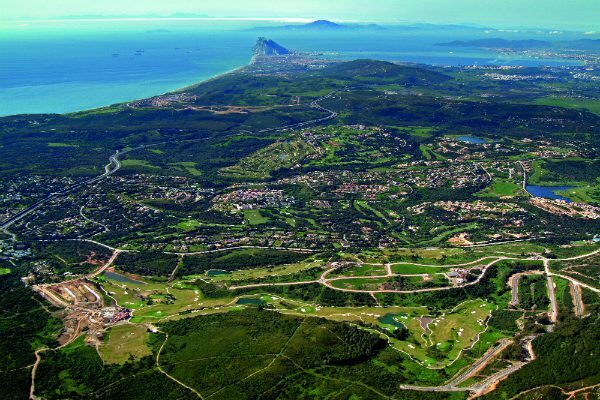 The Campo Europa is known as the easier of the three courses due to its flatter terrain and larger green, so this may be the course of choice for the standard golfer. However, there are still plenty of challenges for the experienced golfer, with length off the tee a big bonus, especially at the 250 yard Par 3. 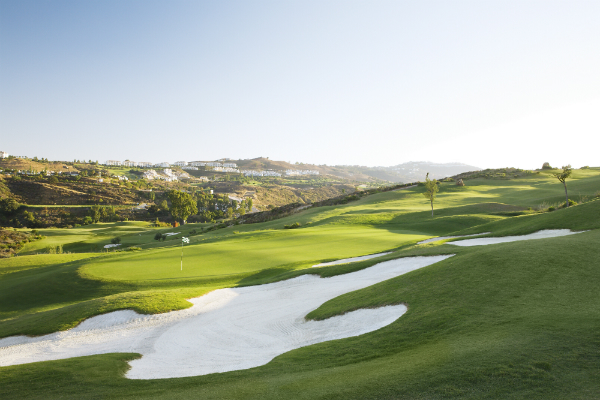 Staying on site at La Cala Resort is perfect for a Costa del Sol golf holiday, situated near Marbella and only 30 minutes from Malaga Airport. The resort is known to provide first class hospitality with 107 spacious rooms, a spa and the leisure facilities which include an outdoor swimming pool with a sun terrace, tennis courts, a well-equipped gym, jacuzzi, and a FIFA approved football pitch. 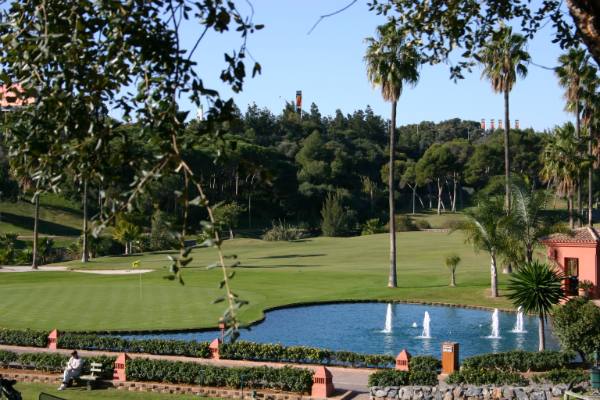 Las Brisas is definitely the most picturesque course on the list, with a tremendous display of fauna and flora, which exudes beauty the whole way round. Despite its splendour, it’s also one of the hardest courses on the list as at 7065 yards off the white tees, and with 13 holes which feature water, only your finest tee-green game will do for a low score. The Westin La Quinta Golf Resort & Spa is only a couple of kilometres from Las Brisas and offers a luxurious experience for all golfers, with traditional Andalucian style rooms, a spa, gym, an outdoor pool and two restaurants to choose from. The Santa Clara Golf Club has an 18 hole, Par 71 course which suits golfers of all abilities with large fairways and minimal rough, so there’s no need for your best accuracy off the tee for this round. However, the particularly long par 3s will cause some trouble with only one being under 180 yards from the back tees, as well as the Santa Clara Corner. The 12th can play a fairly straightforward Par 4, downhill with the main danger coming from the direction of the wind. The 13th is then a 227 yard Par 3 with a lake running 20 yards short, so you’ll be needing one of your finest shots to avoid dropping any shots here. The corner concludes with the Par 5 14th, measuring at nearly 600 yards. 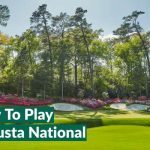 Overall, golfers can make this challenge as difficult as they want this to be with the choice of four different tee positions, as well as making use of the driving range on site. 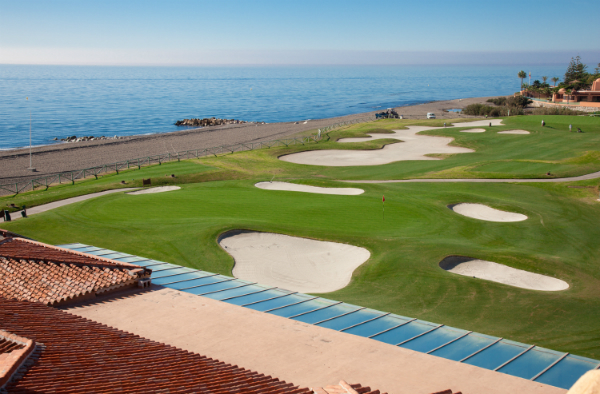 Hotel Los Monteros is situated just opposite the Santa Clara Golf Club and is the ideal location for all golfers. The hotel offers a well equipped fitness centre, outdoor swimming pool, a solarium and massage services, as well as three excellent restaurants to choose from. Located east of Estepona, in the Sotogrande area and on the edges of the Costa Del Sol Region, La Reserva is certainly one of the best courses in Andalucia, if not Spain. The venue has previously hosted NH Collection Open on the European Tour, featuring the likes of the Andrew ‘BEEF’ Johnston and European Tour players, Thomas Pieters and Andy Sullivan. La Reserva is set high above the sea, so offers exquisite views of the Mediterranean but also features large undulating fairways and greens. In fact the greens can be so easy to find that you might find you have a larger percentage of three putts than usual. The greens need to be this large, though, when the course measures 7,350 yards from the back and has a Par 3 measuring 240 yards. The Hotel NH Sotogrande is located less than 2km from La Reserva, as well as nearby to the other courses in the Sotogrande area. The Hotel has 106 rooms, two-restaurants, even its own hairdressers as well as leisure facilities on-site, which include an outdoor swimming pool with sun terrace, an indoor pool, a solarium and a tennis court. 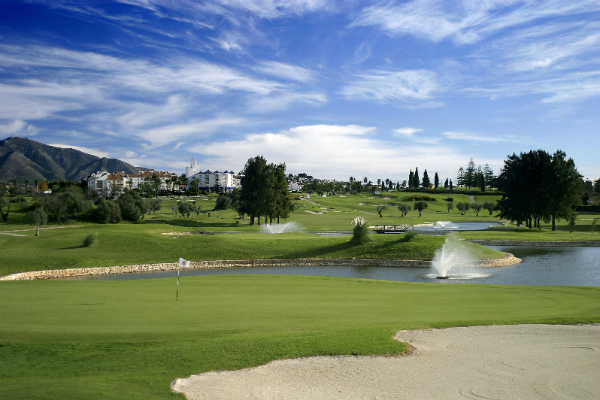 There are 36 holes of quality golf to play at Mijas Golf Club, with the Los Lagos course being the longest of the two. It measures at 7148 yards from the back tees, but contrary to the other courses in the Costa Del Sol Region, features softer slopes, but an array of bunkers and lakes to avoid. The Par 3 11th is definitely a signature hole, as you shoot over water which features a ‘bridge ball’ to walk through on your way to the green; a hole you’ll definitely remember. 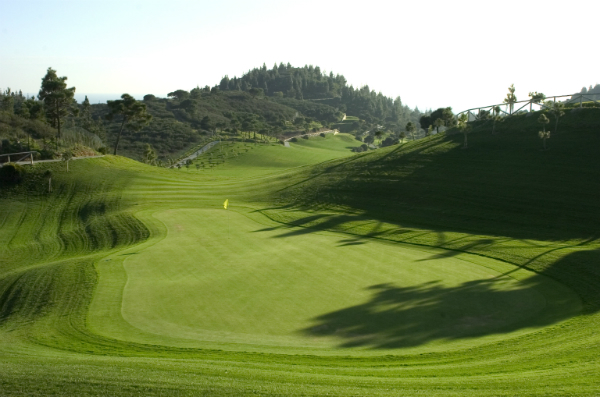 The other 18-hole course course at Mijas is called Los Olivos and also plays as a Par 72 but with a greater stress on trees, as the name would suggest, and fewer lakes to avoid. 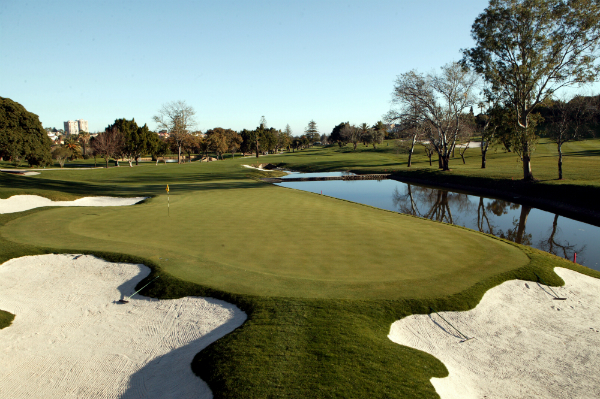 Although, Los Olivos also plays shorter to its sister course; due to the abundance of trees, the holes play slightly narrower and require greater accuracy with both tee shots and iron play – a challenge even for the experienced golfers. Hotel PYR Fuengirola is less than 15 minutes drive from Mijas Golf Club and situated along the Fuengirola beach, boasting immediate access to sandy beaches. The hotel provides your traditional seafront holiday accommodation with 400 comfortable and spacious apartments, as well as an outdoor pool and bar to enjoy. 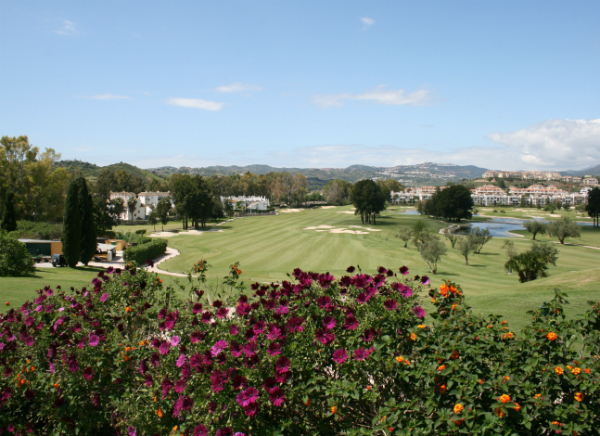 Then there’s the added benefit of being close to a number of golf courses including the Mijas Golf Club just 15 minutes away and the La Cala Resort and El Chapparal close by. Hotel Guadalmina is set in the ideal golf location, with over five golf clubs within 20 minutes from the hotel, as well as 45 holes on the resort and a driving range. 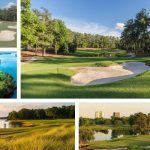 It’s the best destination on the list for convenience, and with a variety of golf courses and practice facilities available within walking distance of the resort, one of the most popular. The South course is ranked in the top 50 Courses in Spain and is the more challenging of the two courses; ancient trees line the fairways, ensuring accuracy off the tee, with an added challenge of a 6,650 yard layout. The North course is the slightly easier of the two courses due to its open feel and shorter layout. However, there is still plenty of danger in the form of water hazards and an undulating landscape. 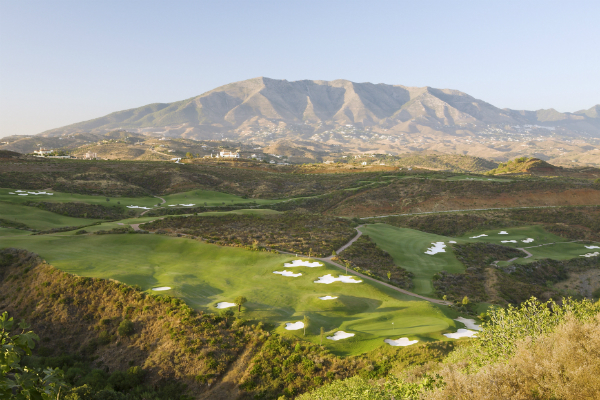 El Chaparral is the only course in Costa del Sol which has six Par 5s, six Par 4s and six Par 3s, so there is plenty of excitement to be had. While varied, the course is also challenging as there are pine trees and hazards off every hole as well as undulating fairways acting as run-offs, so you will be needing some of your most accurate driving and iron play to avoid losing any golf balls. VIK Gran Hotel Costa Del Sol is just 11 minutes away from El Chaparral Golf Cluband set in a slightly quieter area, 24 minutes from Marbella and 12 minutes from Fuengirola, ideal for a quiet golf trip to enjoy the outdoor pool and breathtaking sea views. For those wanting a slightly busier location, the PYR Fuengirola, Hotel Las Palmeras and Hotel Las Piramides would be suitable as they are located in the heart of Fuengirola and still only 15 minutes away from El Chaparral. The Aloha Golf Club has hosted multiple professional tournaments, including the Open de Andalucia on the European Tour in 2007, 2008 and 2012 with winners including Lee Westwood. 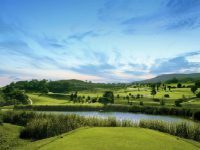 The course itself is an 18 hole, Par 72 parkland layout which follows a similar layout to the region’s other courses with undulating fairways and greens, with a backdrop of the La Concha mountain. Perhaps one of the key differences is the length of this course, at 6882 yards from the back tees, it’s one of the longest courses on the list but with fairly large greens and four tee positions, this course is still manageable for all golfers. 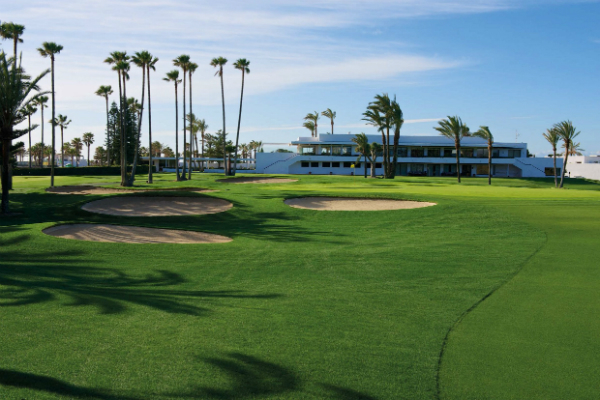 The H10 Andalucia Plaza, located in Puerto Banus, would be the ideal base when playing at Aloha Golf Club. Just 10 minutes from the golf club and located near the Puerto Banus marina, the hotel will be perfect for a luxurious stay. Inside the hotel, golfers will find spacious rooms, a swimming pool, sauna, gym, spa and the Marbella Casino which guests get free entry to. Los Naranjos Golf Club has 18-holes designed by Robert Trent Jones Sr. and with Naranjos meaning orange tree, there are plenty of orange trees around the course, but have no fear as these are strategically placed so there are still plenty of wide fairways to aim at. Hotel Senator Marbella offers the best of both worlds as it’s located in the heart of Marbella and only 15 minutes away from Los Naranjos Golf Club. It offers guests luxuries including a Spa and pool, as well as having an in-house restaurant or there is a wealth of options to eat and drink in Marbella centre. The Rio Real Hotel & Golf Club has an 18-hole, Par 72 course which features a meandering river running throughout the course and spectacular Costa del Sol coastline views from the 4th and 5th. The course plays as a tale of two-nines requiring patience as there’s particular danger on the front nine in the shape of water hazards and the ever-present trees requiring accuracy from the tee. Golfers can then relax and try to save their score on the closing stretch, as you can choose to rip it over the trees on the dog-leg 15th to try and make birdie, find the green in two on the par 5, 16th for back-to-back birdies, no more than a driver and wedge to set-up another birdie on 17 before hitting your best drive down 18 to a very narrow fairway and then safely find the green for a regulation par…easy game. 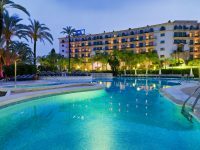 The Rio Real Hotel is one of the finest new hotels to be established along the Costa del Sol in recent years, and represents a fantastic high end option for a luxury golf holiday in the sun. Guests at the luxury Rio Real property can take advantage of the leisure facilities, which include fishing, horse riding and tennis, while it is also possible to hire the resort’s private yacht. There is also a restaurant in the hotel offering a gourmet experience but many will choose to head to Marbella centre just a few kilometres away. 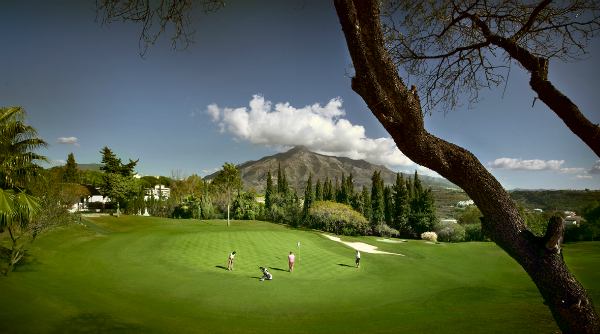 Set in the golfing valley, the Marbella Golf Course designed by Robert Trent Jones Sr. follows a similar undulating landscape to the other courses on the list, however, there is a particular stress on elevated greens with bunkers providing the main traps, as well as a few lakes around the course. 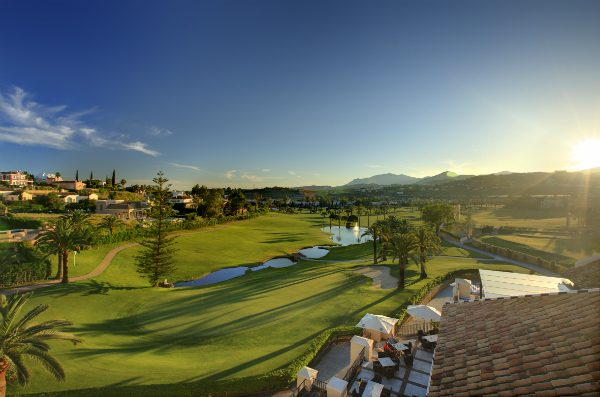 The closest hotel to Marbella Golf & Country Club would be Hotel Los Monteros which is less than five minutes away, however, there are also a variety of hotel options to choose from in the Marbella centre just 15 minutes drive away from the golf club. Notably the Hotel Fuerte Marbella, in the heart of Marbella, boasts immediate access to the beach, ideal stay for those looking to be amongst the attractions, restaurants and bars. The Santa Maria Golf Club, set in the east side of Marbella, features an undulating landscape as well as an oak and pine forest, so you can expect plenty of trees dividing the holes. It’s a shorter course at just 6109 yards from the white tees and only a Par 70 featuring five Par 3s and only three Par 5s; four of these Par 3s are on the back nine alone so save some of your best iron play for your round in. 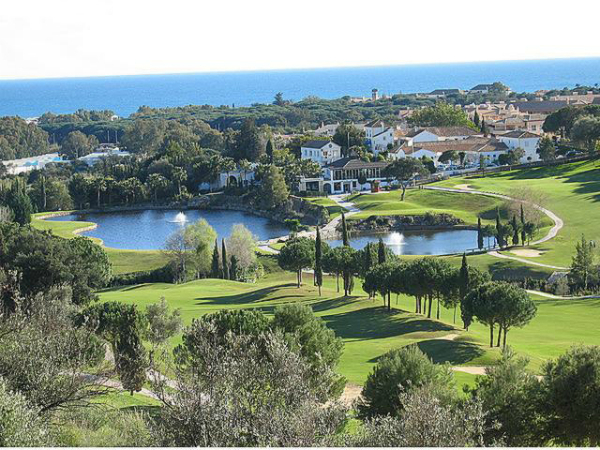 Located slightly further East than Marbella Golf & Country Club, Hotel Los Monteros would still be an ideal choice for a golf holiday to Santa Maria Golf Club, as it is only 10 minutes away and offers five star accommodation and fine dining. Added to this, La Cabane Beach Club is walking distance away offering al fresco dining by the pool and would make for a perfect golf holiday in the sun.